Running is an art. It requires a lot of energy and precision on your part. We all are aware of the immense benefits that running has to offer, however, this important to understand that in order to reap the most benefit from running, you need to follow the right footwork, the right breathing pattern and also wear the right clothes. Now when we talk about clothes, it is more about what not to wear and what are the perfect replacements for them. Confused? Don’t be! For here is a list explaining the same in details. Cotton t-shirts might seem all comfy and interesting to wear, but they are of little help when you are undertaking an intense running session. That old t-shirt does nothing to absorb the sweat and doesn’t even allow quick evaporation. The result is one wet and heavy piece of clothing dragging you down. It can cause irritation and hinder your performance. As weird as it might sound, technologically advanced fabrics are now being used to construct the running tees. These are usually a blend of cotton, polyester and other microfibers which allow you to breathe. These tees are stretchable while fitting your stature perfectly. These t-shirts can wick moisture and keep you dry due to the use of polyester. Cotton lends them a soft and smooth finish. Wholesale Activewear Manufacturer have the best t-shirts displayed in their catalog that showcase a variety of shades and textures as well. Okay so let us look at this constructively (without any hard feeling)- a pair of long and baggy sweatpants can slip your feet and get caught under there, causing you to trip which will lead to injuries. We all love the baggy pants and they are supremely comfortable to wear, but these pants are better left out for other casual occasions as they are only obstructions during the sessions. One of the most redeeming qualities of running shorts is that they are extremely comfortable to wear. Wide legs, elastic waistband, perfect fit, use of high-quality fabrics; all of this contribute successfully to the popularity of running shorts. Also, these are specially constructed to accommodate high-intensity running sessions. These pairs come in a variety of colors that include basic shades like grey, black, navy and white. If you are still not clear about what shoes with digits are then here is a brief explanation. These are the shoes which are light in weight, and take the shape of the feet. They feel naked and light on the feet and are believed to have unique qualities that relieve knee pain, joint pain, and backaches. However, just when they may seem like an asset, the liability of the shoes may hit hard. They don’t provide enough protection to your feet which can cause a lot of harm in the long run. Shoes with digits might be great picks when simply walking, but when it is an intense running session that you have in mind, it is better to stick to the good old pairs of trainers. These come with protective soles that reduce the blow to your feet. Also, they absorb the sweat from your feet, keeping it dry and blister-free. With different shades being introduced, you won’t have to sacrifice your style quotient. 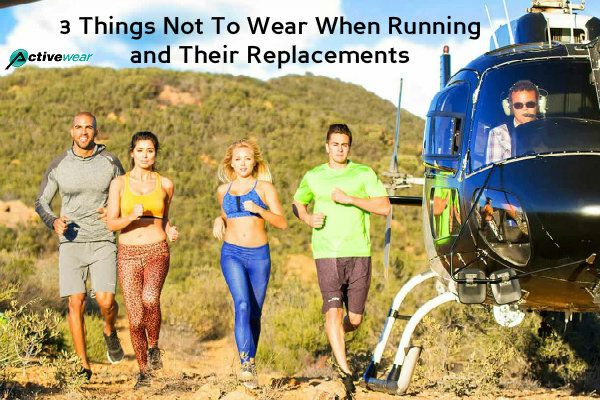 Thus, the next time you decide to make a purchase of running clothes and apparels, make sure you pick the right pieces for your performance depends on that. Wholesale running clothes manufacturer have an inventory that displays the best of running clothes and accessories. Interested retailers who want to make a bulk purchase of the same can register with them online. Special offers and discounts are also available.